The Dangote Group, originally a small trading firm founded in 1977, is now a multi-trillion naira conglomerate. Dangote’s businesses include food processing, cement manufacturing and freight. The Dangote Group dominates the sugar market in Nigeria: it is the major sugar supplier to the country’s soft drink companies, breweries and confectioners. Dangote Group has moved from being a trading company to Nigeria’s largest industrial group, including Dangote Sugar Refinery (the most capitalized company on the Nigeria Stock Exchange, valued at over US$3 billion with Aliko Dangote’s equity topping US$2 billion), Africa’s largest Cement Production Plant, Obajana Cement and Dangote Flour amongst others. ^ “The World’s Billionaires #51 Aliko Dangote”. Forbes.com. 3, March 2011. Retrieved 2010-04-11. 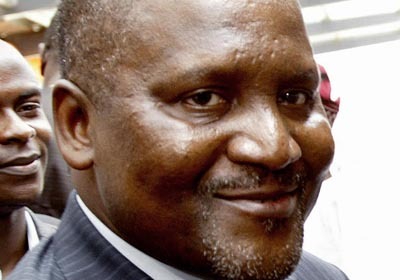 ^ “Aliko Dangote: The Ultimate Volume Player”. Newswatch (Lagos). 29 June 1998. Retrieved 2010-03-02. Al Amoudi made his fortune in construction and real estate before branching out to buy oil refineries in Sweden and Morocco. He is said to be the largest foreign investor in both Sweden and Ethiopia. There is an authorised personal website  that provides basic information on his business interests, involvements in Sweden and Ethiopia and approach to international development as well as his philanthropic activities. Al Amoudi started investing in Sweden in the 1970s. His construction company consortium, Mohammed International Development Research and Organization Companies, also known as MIDROC, won an important contract to build Saudi Arabia’s estimated $30 billion nationwide underground oil storage complex in 1988. MIDROC acquired Yanbu Steel in Saudi Arabia in 2000. In addition to his substantial business interests in Ethiopia (see Commitment to Ethiopia below), he also owns oil refineries in Morocco and Sweden and is engaged in energy exploration and production off West Africa and elsewhere. His Addis Ababa Sheraton is said to be among the finest hotels in Africa. Al Amoudi owns a broad portfolio of businesses not only in oil but also in mining, agriculture, hotels, hospitals, finance, operations and maintenance. His businesses are largely to be found within two conglomerate holding and operating companies: Corral Petroleum Holdings and MIDROC, both of which he owns and manages and employs over 40,000 people. He has recently pledged $275 million alongside other Saudi and South Korean investors through Midroc, to finance a factory to build Saudi Arabia’s first car, to be called Gazal 1, in a project initiated by King Saud University. 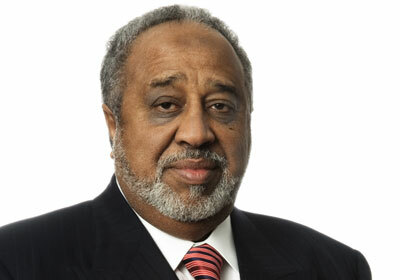 Al Amoudi has focused investment on Ethiopia since the mid-1980s. He is committed to Ethiopia, especially to job creation and infrastructure capacity building, and is well known as a philanthropist in his country of birth. He has built a 140-bed health care facility and supports visual impairment, disabled, children’s health and poverty alleviation programmes. In the education arena, he provides overseas scholarships and is a patron of the Ethiopian arts. In 2011, he donated 10 million birr to the proposed Ethiopian National Coffee Museum in Ethiopia’s Kaffa Zone. Al Amoudi has a firm commitment to sport in Ethiopia as well. He has sponsored the CECAFA Cup, Africa’s oldest football cup competition, in 2005 and 2006, during which time the tournament was known as the Al Amoudi Senior Challenge Cup. He also supports Ethiopian Premier League Club St. George and covered the medical expenses of one of Ethiopia’s most celebrated footballers, Mengistu Worku, before his death in December 2010. 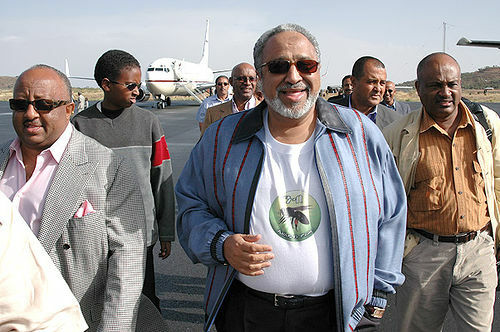 In 2011, he pledged 100 million Ethiopian birr for a stadium and access road in Mekelle. The Sheikh has substantial business interests in Ethiopia, largely operated through MIDROC Ethiopia which was created in 1994. He has gold mining interests in Ethiopia and 70% of NOC (National Oil Corporation) which competes with YBF, TAF and five other companies in the national petrol market. In February 2011, the Sheikh acquired 69% of Ethiopia’s sole tyre manufacturer Addis Tyre and he has a substantial investment in cement production. His major cement plant near Chancho was backed in part by the World Bank’s International Finance Corporation. The Sheikh has also fully funded the King Abdullah Institute for Nanotechnology at King Saud University. This will open in November 2011. Al Amoudi was named as one of the William J. Clinton Foundation Donors, according to information released as part of an obligation placed on former President Clinton when he supported Hillary Clinton‘s nomination as Secretary of State. Al Amoudi is reported to have donated between $1,000,001 to $5,000,000 to the foundation. His $20m commitment (over a decade) in partnership with the Foundation has been designed specifically to target resources towards AIDS initiatives. Born in Ethiopia to a Saudi father and Ethiopian mother, Al-Amoudi claims to be investing more than $3 billion into Ethiopian agriculture and industry with the aim of modernizing farming and eventually exporting much of the output to Saudi Arabia. He also owns mines in Ethiopia that put out 5 tons of gold a year. He started investing in Sweden in 1974; stakes there now comprise half his fortune: Preem operates two refineries, and Svenska Petroleum produces crude oil in the North Sea and west Africa. His construction company Midroc operates in Europe, Africa and the Middle East. In recent years, he completed an estimated $30 billion contract with Saudi Arabia to build vast underground oil storage caverns. Patrice Tlhopane Motsepe (born 28 January 1962 in Johannesburg) is a South African mining magnate. His company, African Rainbow Minerals, has interests in gold, ferrous metals, base metals, and platinum. He is married to Dr. Precious Makgosi Moloi and they have three sons. 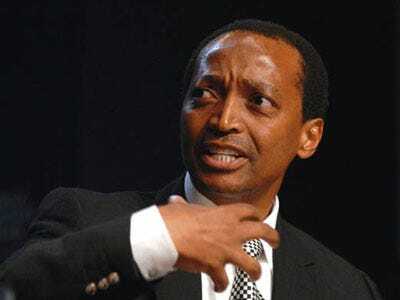 Patrice Motsepe won South Africa’s Best Entrepreneur Award in 2002. In 2004 he was voted 39th in the Top 100 Great South Africans. This accolade was, however, granted by the government funded state broadcaster. In 2008 he was 503-rd richest person in the world, by the Forbes World Billionaires List. In that same issue of Forbes magazine, it was noted that the source of his wealth was not through any entrepreneurial zeal but through his association with the ruling political party the African National Congress (ANC). He is also a Non-Executive Director of Absa Group and Sanlam and was previously a partner of Bowman Gilfillan and Witman Chingwaramusee. ^ Susan Adams (24 March 2008). “The World’s Richest People: The Prince of Mines”. Forbes Magazine. ^ “AFRICAN RAINBOW MINERALS LTD”. Bloomberg Businessweek. Retrieved 24 March 2011. Mike Adenuga Junior (b.April 29, 1953) is the Nigerian Chairman Chief Executice Officer of Globacom. Adenuga’s rise to wealth and accompanying fame is an interesting story. His resolve to succeed against all odds started when, while in America, he worked as a taxi driver and security guard to sustain himself in school. Born on April 29, 1953, Michael Adeniyi Isola Adenuga had his secondary school education at the Ibadan Grammar School, Ibadan, Oyo State, before proceeding to the North-Western University in Oklahoma and Pace University, New York, both in the United States where he studied business administration. At age 26, Adenuga had already become a millionaire with connections in high places. With his unique flair for risks and sheer tenacity of purpose, in no time he started reaping profits in billions. He owns Equitorial Trust Bank and Consolidated Oil, which carries out crude oil drilling, refining and marketing. His first shot into the consciousness of Nigerians was when his company, Consolidated Oil became the first indigenous company to strike crude in December1991. He recently made foray into the telecommunications sector. With his Communications Investment Limited, CIL, he was issued a conditional licence in 1999 and frequencies to operate the Global System of Mobile Communications (GSM). The licence was later revoked. Again, when in 2002, the government through the Nigerian Communications Commission (NCC), organised new auction for the GSM licence, the CIL participated and was one of the four that won the bid. He paid the $20 million mandatory deposit. However, in the process of effecting the release of the balance payment of $265 million, the company was adjudged to have failed to pay within stipulated time. CIL lost both the licence and $20 million deposit. He later went on to bid for the Second National Operator (SNO) licence, and deposited another $20 million. This time, he was lucky. He won the bid in August 2002 through his Globacom Limited. The SNO has a wider range of operations as Globacom has the right to operate as a national carrier, operate digital mobile lines, serve as international gateway for telecommunications in the country and operate fixed wireless access phones. Adenuga’s estate business and company shares traverse several countries in Western Europe, North America and the Middle-East. 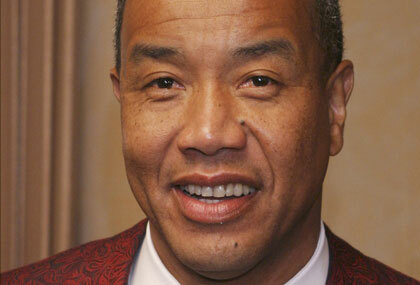 Michael Lee-Chin was born in Port Antonio, Jamaica in 1951. Both his parents were biracial, Black and Chinese Jamaican. When Lee-Chin was aged 7, his mother married Vincent Chen. Chen also had a son from a previous relationship, and the couple had a further 7 children together, including 6 boys and 1 girl. His mother sold Avon products, and worked as a book-keeper for various local firms, while his stepfather ran a local grocery store. He attended the local high school, Titchfield High, between 1962 and 1969. His first job came in 1965 working as part of the landscaping team at the Frenchman’s Cove Hotel. In 1966 he got a summer job working on the Jamaica Queen cruise ship, cleaning the engine room. In 1970 he went to Canada on a scholarship program sponsored by the Jamaican Government to study Civil Engineering at McMaster University, and graduated in 1974. Lee-Chin worked briefly as a road engineer for the Jamaican Government, but, unable to find work in his qualified field (and allegedly, because his Canadian wife didn’t like living in Jamaica), he returned to Canada. At first he worked as a bouncer, but later found employment as a financial advisor for Investors Group. He spent two years at the Investors Group in their Hamilton, Ontario office, and in 1979, moved to Regal Capital Planners and became regional manager. Whilst at the company, in 1983, he secured a loan from the Continental Bank of Canada for C$ 500,000 to purchase a stake in Mackenzie Financial Group and formed Kicks Athletics with business associate, Andrew Gayle. By 1987, the investment was worth C$3.5 million. In 1987, he took the proceeds from his Mackenzie investment and bought a Kitchener-based company called the Advantage Investment Council (a division of AIC Limited) for $200,000. At the time, the company had holdings of around C$800,000. He renamed the company AIC, and developed it to a fund that today controls around C$6 billion, with hundreds of thousands of investors. Following the acquisition of AIC Limited, Lee-Chin set up the Berkshire group of companies – comprising an investment planning arm, a securities dealership and an insurance operation. By 2007, Berkshire amassed more than C$12 billion in assets under its administration. In 2007, Manulife acquired Berkshire from Portland Holdings in exchange for shares, making Portland one of the largest shareholders of Manulife. In 2009, Lee-Chin sold AIC Limited to Manulife for an undisclosed amount. With the acquisition, Manulife Securities will now manage some $13 + billion in mutual fund assets in Canada.